Originally developed as a martial art and method of self-development in 13th-century China, Tai Chi combines deep breathing, relaxation and mental focus with flowing movements. It aims to address the body and mind as an interconnected system, create harmony and improve mental and physical health. 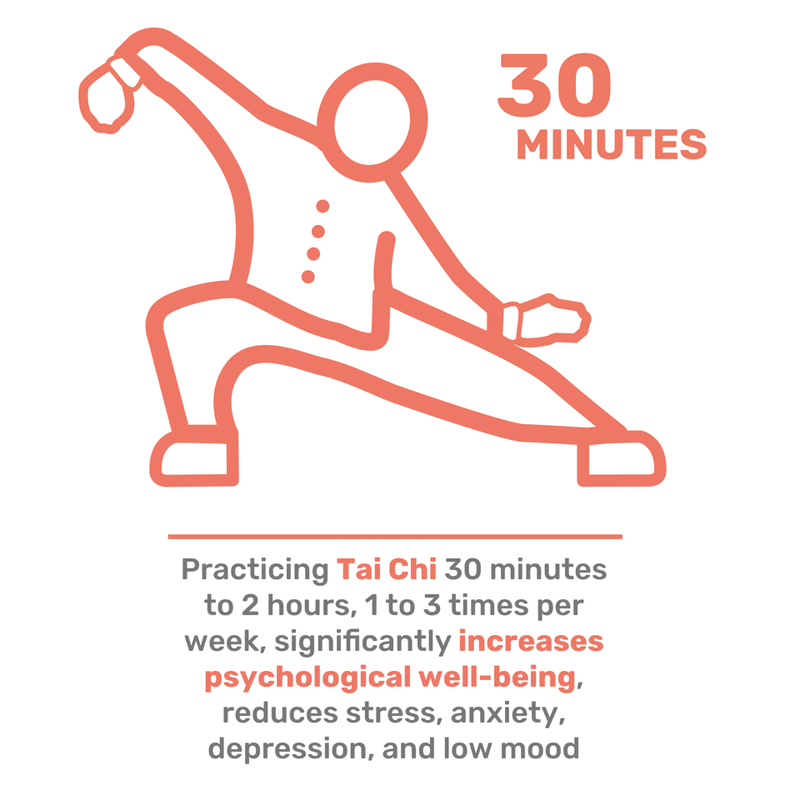 Tai Chi exercises are suitable for a diversity of patients — regardless of gender, age, and health status, and can be practiced alone or with a group. Abbott, R. and Lavretsky, H. (2014). Tai Chi and Qigong for the Treatment and Prevention of Mental Disorders. [online] Psychiatric Clinics of North America, 36 (1), pp. 109-19. Available at: https://www.ncbi.nlm.nih.gov/pmc/articles/PMC3917559/ [accessed 12 Sept. 2017].